I strongly believe in name numerology. As I am 8 born -8 Jan 1985 and time is 3:15 pm, day was Tuesday, I have checked many web sites about No. 8 and I am totally confused. Few web sites say that I should avoid 8 for important work in my life and few others say that I should do important things on 8. No. 8 recurs in my life often. My motor cycle no. is UP 78 BK 4778 -- 78 is common and it is the State no. for all motor vehicles in my State. If we add 4778 we will get 8. My college roll no. was 7nbkr044 ---- 7nbkr is center no. So it was common for all students and 044 is my no. When we add it is comes to again 8. I got my first job on 2nd /5/ 2009 day was Saturday. It was not 8. 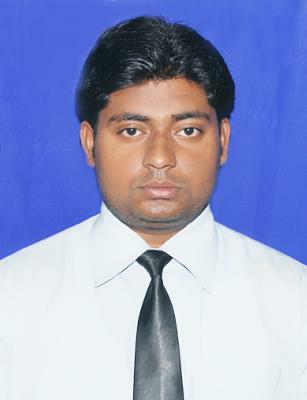 Right now I am out of job and I want to start a new business of (Placement Consultancy) in my home city KANPUR. I am very confused about on what day and date I should start my business. Please suggest to me If I need to change my name by few digits to achieve success in my life. Suggest me what name should I give to my business according to name numerology. Please also send me alphabets and their numerological numbers. It will help me to change my name and to create my business name. And tell me what digit should I give to my business name. Kindly know that to correct your own name by yourself is very unproductive and even dangerous. Self medication is bad. You must seek expert help for this guidance. Some Pythagorean Numerology web sites classify No. 8 as lucky. But that is not true in Chaldean Numerology which is more reliable and accurate for explaining important day to day events. We consider 8 as highly unlucky. And we are 100% correct. Our alphabets and number values are far different from Pythagorean Numerology. 8 arrived by summation of numerical values of alphabets in Pythagorean is a different 8 from what we get as 8 in the Chaldean system. You should not equate these two 8s. For professional advice on your personal name correction and design of your business name you are advised to kindly apply through the contact form in this web site.